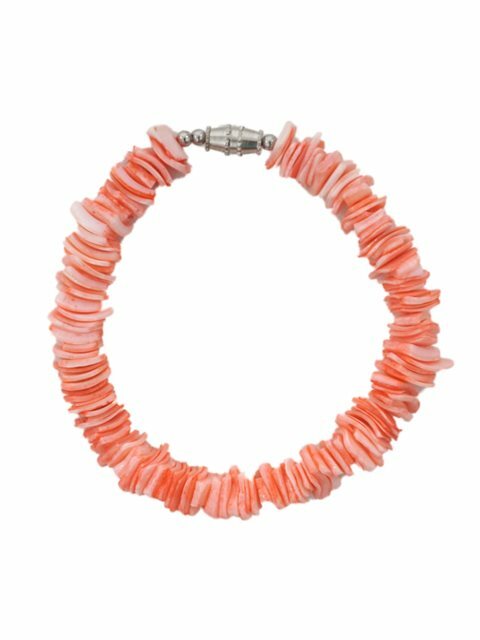 This very clean and bright salmon pink bracelet is made of Pink Lunanos shells. It matches very well with a white dress! We also have a matching necklace with this bracelet, so please check it out.